While there have been a number of studies that focus on the grave toll that errors made during hospitalization take, fewer researchers have studied an equally important subject—the frequency of and harm caused by incorrect or missed diagnoses. 10 to 20 percent of cases included a missed, incorrect or delayed diagnosis. 40,000 to 80,000 people per year die as a result of diagnostic errors. 28 percent of 538 reported diagnostic errors were life-threatening or resulted in the patient’s death or permanent disability. The most common misdiagnoses occur for fairly common conditions, including pneumonia, heart failure, kidney failure and cancer. Prostate, breast, lung and thyroid cancer screenings may detect cancers that are slow growing and unlikely to result in serious harm. This detection, however, can cause over-diagnosis and over treatment. A study in the BMJ Quality and Safety journal estimated that 28 percent of cancer cases are misdiagnosed. Beyond misdiagnosis, there is another issue that can have a significant negative impact on your care. 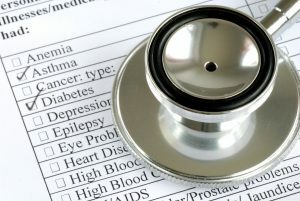 Researchers have found that, depending where you receive care for certain serious health problems, you may not receive adequate care or the most appropriate treatment options. For example, gynecologic oncologist Robert E. Bristow, MD, director of the Division of Gynecologic Oncology at the University of California, Irvine Medical Center, analyzed the records of 13,000 women treated for ovarian cancer and found that only about 37 percent received care that adheres to guidelines developed by National Comprehensive Cancer Network. Women who did receive care that followed the guidelines were 30 percent less likely to die from ovarian cancer, so failure to follow those guidelines could have tremendous impact on the patient. Similar problems with inappropriate treatment have been documented for people with chronic back pain, those who receive stents for a blocked artery in the heart, and those who undergo organ transplants. There are a number of steps you can take, like partnering with a health advisory service, to protect yourself and your family from misdiagnosis and inappropriate treatment. Second Opinions: If you receive a serious diagnosis like cancer or your doctor tells you that you need surgery, seek a second medical opinion from a qualified specialist who has experience treating the disease. If the second opinion does not confirm or support the original diagnosis and treatment recommendation, seek a third opinion. Universal Medical Record: Strive to ensure that all the physicians involved in your treatment have access to your complete medical record and that they communicate with each other. It can often help to have someone review your comprehensive medical record to ensure that information is complete and organized before you seek a second opinion. To prepare for the unexpected, it is a good idea to have a secure record digitally available for sharing with all health care providers whenever and wherever the need should arise. Health Advisor or Advocate: Have a primary care doctor or a health advisor/advocate who can oversee and coordinate your care. Evidence-Based Research: Arm yourself with evidence-based information that can help you weigh your treatment options and provide other key support services when you’re dealing with a serious illness or injury. Answers to Your Questions: Be a proactive patient. Ask questions about your treatment options and alternatives and how much experience your physician has treating the condition. If you do not understand something, ask your physician to explain it in layman’s terms.